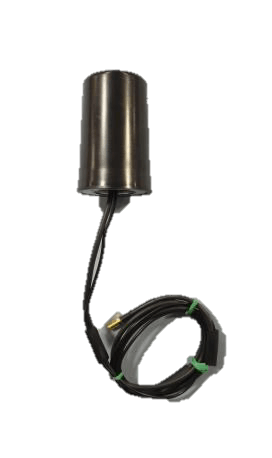 The MVDP450-464-GPS antenna is designed to be used in commercial, military, or private fleet communication systems where reliability is needed most. This antenna works with all radios within the 450-464 MHz band and 1575.42 GPS band plus Glonass. The antenna is provided with state-of-the-art radiating elements essential for maximum reliability and superior performance. It has two separate cable inputs, one for the UHF radio and the other for the GPS.